One of the hottest topics in the mobile industry is the need for more capacity to serve the growing quantities of data emerging from 3G-connected devices like iPhones, iPads, Android devices and 3G modems . Some commentators are keen to paint this as a crisis, leading to the imminent collapse of mobile networks. We have taken a more sober look at the available capacity options and concluded there is scope to meet the demand now and in the future – if you know where to look. 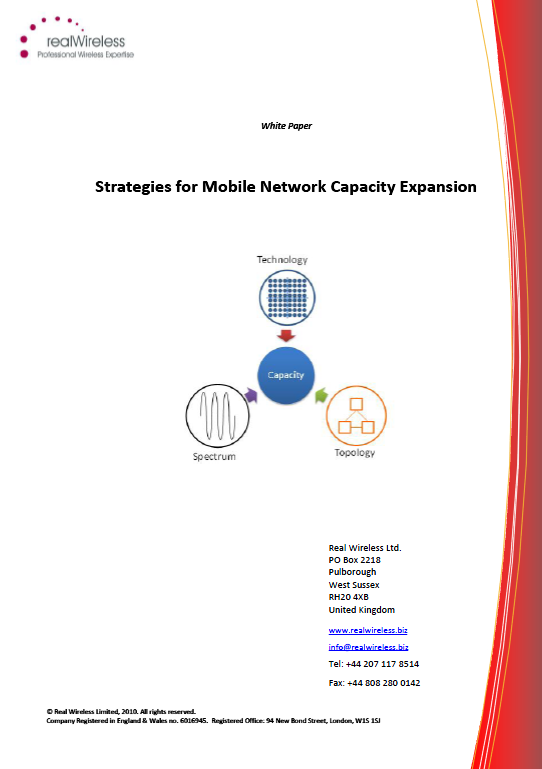 See our free white paper Strategies for mobile network capacity expansion for details.